Enthusiastically Caring for German and Italian Motor Vehicles, BMW Repairer and Performance Specialist for over 38years . We are members and support Motor Trade Assoc’(MTA) and Institute of Automotive Mechanical Engineers(IAME) . Saturday’s by Appointment only…..Booking a Minimum the day before! 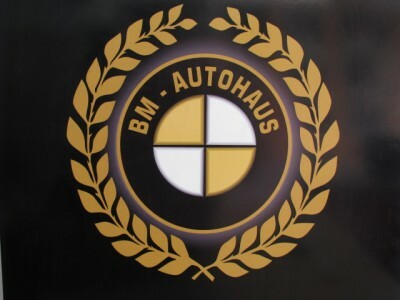 BM-AUTOHAUS got it’s start December 2009 in the same building in Vale street with BM-AutoEngineering, Rubin’s first and original BMW business for 16 years (1995),but completely separate in every way! with a move to the Showroom infront for Importing and licencing of Imported Classic Cars , the direction change due to health and to reflect Rubin’s personal car interests and collection,……. Still upto supporting and Sponsoring German and Italian Track cars etc , with our participation in “Round the Houses” VSCC Series, along with usual Fiat/Lancia/Ferrari/Abarth and BMW Car Club Enthusiasts Vehicles! April 2013- BM-Ah expanded out of the showroom and back to full use of the Vale street workshop, Rubin and Benny have expanded business back to including Tunning Road and Race cars, Tyre supply, fit and balancing. This is alongside the Retro-Mods Projects, RHD Conversions, Race Engine builds and Race Car Sponsorships, not to overshadow the normal focus of Vehicle Maintenance and Servicing to Manufactures Specifications, with all current Industry Certifications and Recognised Vehicle Logbook Stamping! April 2013- Benny joins us and we takeover his Apprenticeship late 1st year. January 2017- Benny becomes a Partner here at BM-Autohaus! February 2017- Joel joins us as an Apprentice! January 2018- Rubin is no longer full time 7Days! ….But Yes..most Saturdays ! January 2019- Rubin said “I Don’t like Mondays!!”……. 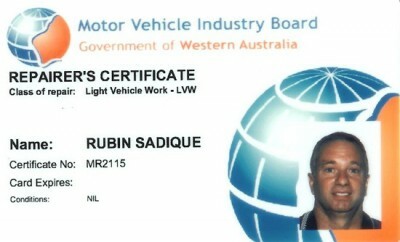 Rubin Sadique AIAME, ( Registered Licenced Repairer #MR2115) got his Motorsport start in 1976 by Racing Motocross , enjoying that a lot but not winning much until only a few races towards the end, stopped shortly before becoming one of the founding members in the Fiat Car Club of WA Inc in September 1981 (President 1992 ,1993 & 2016!) 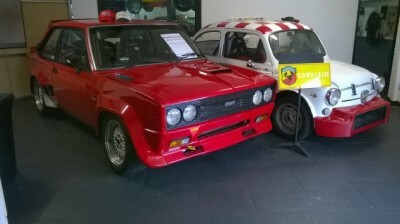 Enjoying modifying and Competing in many Fiat, Lancia and Alfa models very successfully including his ’71 Fiat 850 sport coupe Engineered to have a Suzuki SOHC head and twin DCOE40webers! 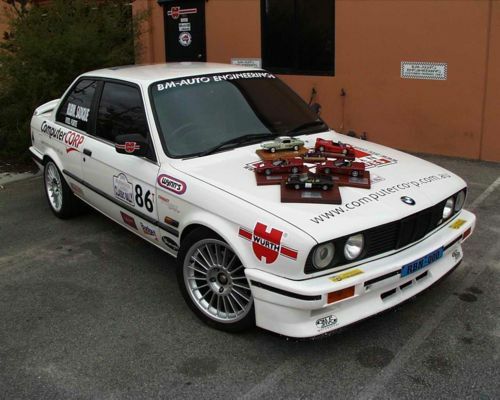 ….later when he bought his first BMW (e23 733i) to tow the Fiat X1/9 Racecar around, He found and loved the practical thinking and reliability of German built BMW’s , so much he started doing the same modifications and tuning to BMW’s. 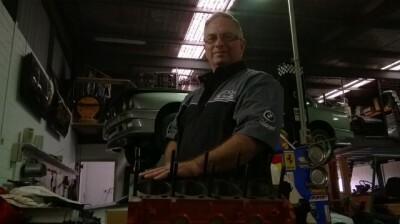 Joined the BMW Clubs Australia in 1993 with his much loved fully rebuilt BMW M528i e28, President of that club for one term only, later for competition reasons, co-founding the Bimmer Club in late 1999 , Rubin and his family are still Members and Supporters of the Fiat Lancia Club of W.A(founding member 1981 & Awarded ”Life Member” 2016), the Vintage and Sporting Car Club! “On the Spanners” Since late 1980 Rubin has worked for many a well known mechanics in Perth, in all areas and ranges of work with BMW ,Ferrari, Lamborghini, Mercedes, VW, Fiat/Lancia/Abarth over the years, gaining and using his performance knowledge on everything from head porting and flow work ,tuned length extractor and exhaust fabrication down to how to drill a brake rotor without it cracking at hi-temp! Motor Racing and the Science behind it, drives Rubin to find the answer to performance issues, he has been responsible for many a full on race-car prep’ and set-up to suit the professional and club racer categories and Specializing on BMW in the early 1992. Rubin went out on his own and opened BM-Auto Engineering March of 1995, buying and working from a rear unit at Montgomery way Malaga happily, but later having to buy and shift into another much larger showroom front unit at Vale street Malaga in June 2007 where he still is today(as BM-Autohaus). Rubin as BM-AE performed many World first and Australian first conversions over those years with the first (M50) 24v engine into(Brett’s) E30 3 series happening in 1998, and first V8 (M60) conversion in 1994(Ivor’s). Building and sending modified engines around the world ,then flying over to finish, install and tune, a couple of note were - BMW S14 2.5 group-N race engine to Iran and of all things a special Landrover 110 engine to Hong Kong! One of his favourite conversions was the first e36M3 (S50) Engine and six speed gearbox to his own e30 coupe in early 2001, with several done for customers since! In late 2001 has added the iconic BMWe30m3 s14 to the mix and building only the purest type, BMW S14 (E30M3) engines 2.3/2.5/2.7 and what to put them in, trial club spec’ cars like his Bunky 1, 2, Evo and Evil Bunkie onto the Racecar and Vito’s ever evolving Racecar! In November 2009 Rubin Sold his BM-AUTO ENGINEERING due to a health and staffing issues, also being without a break for 16 years, he sold to one of his long time customers with a business plan and a manager………but unfortunately then the new owner on SOLD BM-AE 8 months later to a the rival mechanic from down the same street! The Rival then abandon that BMW mechanical business and moved to take over the well know BM-AE business instead! Today BM-AE is still owned by another(4th owner), but not at the Vale street Workshop ………..It’s only taken 4 years (2009-2013) since Rubin sold BM-AE to be back in good health with full use of his Vale street workshop again….. as it should be!! Now (2018)Rubin having his son’s Benny (Qualified) and Joel (2nd year Apprentice) makes this truly a family business !! (Jnr Partner), Eldest son , has been with us since April 2013, starting as an Apprentice! We all know Benny showed great interest in cars and motor racing from a very early age, then getting his first quad bike at the age of 13 and helping his father dismantle cars, motors, etc along with general clean up duties ,at the workshop most Saturdays while still attending school. As time went on he learned many skills helping with conversions and dealing with used parts and sales, A little later doing and completing both a “Business Course” at Leederville Tafe and “Fitting Machining” course at Midland TAFE ,then served work experience in both fields, many short term experiences in Automotive workshops in Wangara, Malaga and Maddington on European Prestige Vehicles, then being offered and starting his Apprenticeship at Beemer Motor Workshop, wreckers yard late 2012, completing his probation period and well into his first year did find this working environment not to be suitable, after much discussion with Rubin and knowing Benny’s welding and fabrication skills are good, Vehicle Servicing is well executed, transferred his training and Apprenticeship and welcomed to BM-Autohaus, the new “Sadique Family Business” started…….Having Finished his time as Apprentice, Benny is “Up to Speed” on Manufacturer’s Log Book Servicing, BMW Diagnostics and Yes Performance Conversions! The first major conversion Benny professionally helped with was a BMWv8 to e30 in 2012, and in November 2014 saw Benny do a E30m52 conversion, exhaust fabrication welding , wiring all to the point of turn key start-up by himself!…. Since then he has completed several! Youngest of the two sons, February 2017 joined us as an Apprentice too! Like his older brother has been around performance cars most of his young life, Joel with the slight change in direction from Benny , Joel prior to starting with us, had already started doing Business admin’ and management courses, Year one was a challenge for Joel , we threw him in the deep end straight away with assisting Benny and Rubin on the spanners , in addition taking to Instagram! Year 2! Joel is upto speed on factory Vehicle Servicing and Maintenance with vehicle knowledge gaining each week!